Each year, dictionaries like Merriam-Webster add a few new words to their lexical listings. The new additions this year were dominated by delectable food terms, totes rando abbrevs, and many, many Internet references. Whether they shorten a word, help us describe new technology, or describe a feeling we all experience, changes to language like these new slang words help English grow into an even richer language. Although some of these words have existed for a while, we love to track the growth of a word from commonly-known slang to dictionary-recognized term. Here are a few of our favorites from 2018. What it means: The feeling of anger or irritability you get when you’re hungry. Where it comes from: Although the Internet has fueled this word’s recent rise in popularity, it was first printed in London Magazine in 1992. What it means: A disparaging term for people obsessed with wealth or its trappings. What it means: Describes something that is generated based on predictions made automatically (often by some sort of algorithm). Where it comes from: “Predictive” as a general adjective has existed since 1637! This more specific use in phrases like “predictive text” has been much more recent, likely coming into fashion in the ‘00s. What it means: It’s just guacamole. That’s all. Where it comes from: This popular abbreviation was first used in 1983—the same year that the first mobile phones were released. What it means: To post something to Instagram. What it means: An activity that takes a lot of time you could have used to do more productive things. Where it comes from: Merriam-Webster charts this word all the way back to 1991, which was also the year the Internet gained its first website. Coincidence? What it means: This abbreviation stands for “too long; didn’t read.” It’s used to summarize the key point of a long text. Where it comes from: According to Merriam-Webster, tl;dr (along with its acceptable alternatives TL;DR and Tl;dr) started appearing in the early ‘00s on news sites, where it remains popular to this day. 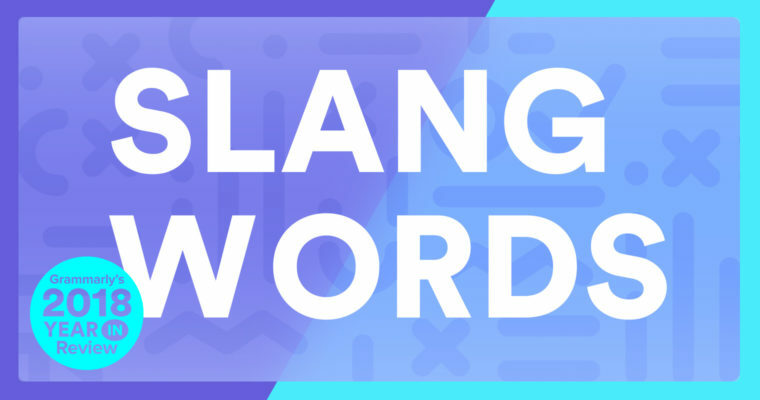 Which slang word do you think should be added to the dictionary in 2019? Let us know in the comments below!